Hi again!! 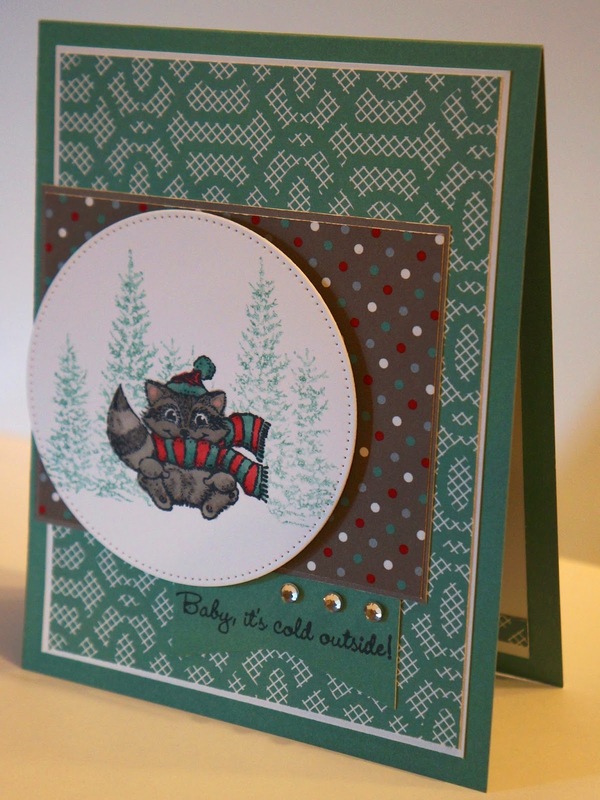 I'm sharing two cards today - I used two of the critters from CTMH's Bundled Buddies stamp set and changed up the colours. The Heart 2 Heart Challenge this week is to share your favourite stamp set. This is one of my favourites, there's many!! I totally fell in love with these little guys as soon as I saw them. 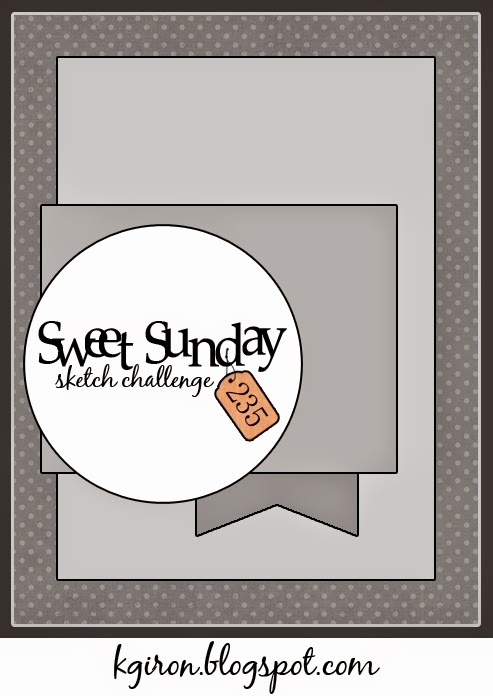 I alsos used this week's Sweet Sunday Sketch 235. The little dear is coloured with copics and his scarf and hat with CTMH's alcohol markers. The little raccoon was coloured with the CTMH alcohol markers only except for his little pink ears. 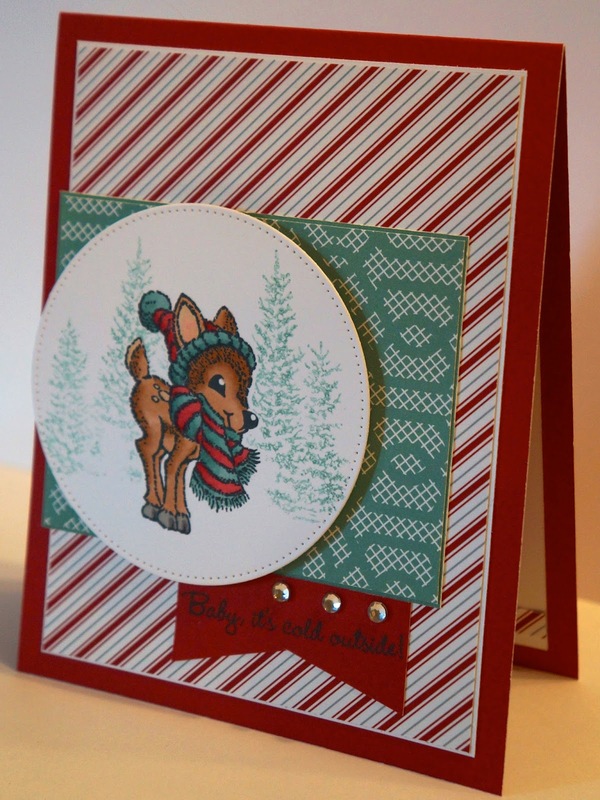 I masked both of the critters and stamped the trees behind them by stamping off first and then stamping over them. Awww these critters are so cute! What gorgeous cards you have created. Thanks for playing with H2H Challenges. Beautiful cards! Love the tree backgrounds on the image stamps. Thank you for playing along with us at Heart 2 Heart Challenge Blog. Fabulous set of cards! Adorable stamps!!! Both are too darn adorable!!! These are adorable! I love how each card is based on the same ingredients yet are so unique. Thanks for sharing with us @ H2H!